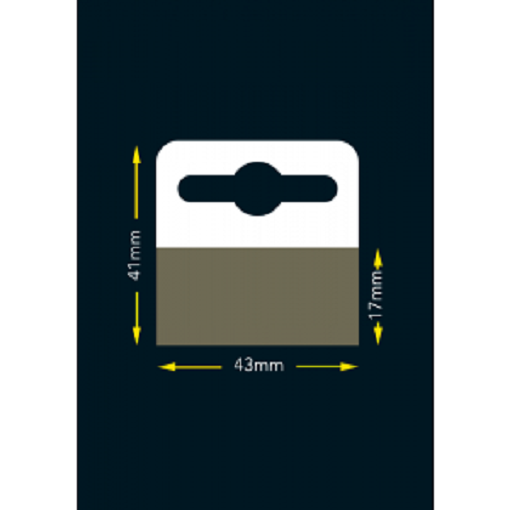 Our Heavy Duty Euro Slot Hang Tabs are ideal for hanging products at point of sale and point of purchase locations in your store. These hang tabs can help increase impulse buying as they allow you to display retail products at eye level. Please contact our sales department 0191 269 7810 sales@postapes.co.uk. POS Tapes win two large contracts for double sided tapes into the Cardboard Engineering and Print Management industries! At POS Tapes we are always looking for new applications and solutions to adhesive challenges that our customers are facing. You will also be able to find our products in selected stores on the High Street. Recent solutions we have provided to our clients include: enable projects to stay together, stop tape peeling from laminated board and enable UV varnish products to stick together. At POS Tapes we pride ourselves on supplying high end adhesive tapes that are suitable for your applications. We have the largest range of adhesive tapes available from stock which are suitable for these demanding applications, be it indoor or even outdoor applications. Our product ProLink250R - which is part of the ABS Family (Advanced Bonding Systems) - has solved a lot of previously problematic challenges for the cardboard engineering and print management industry. This adhesive with its a top performance pressure sensitive formulation, gives superb tack with excellent long term, peel and sheer performance. In the industry our product is unrivaled. The ProLink250R is highly transparent and will not yellow, cloud or discolour with time. Along with no 72 hour dwell recommendation means this product is available for immediate use. This is an excellent product for bonding two dissimilar surfaces such as plastic (incl. perspex, acrylics, plexiglas & polycarbonate) along with painted, varnished and powder coated surfaces like metals and many others. The Prolink205R contains a special composition giving an excellent all round bonding along with unique characteristics and properties belonging to POS Tapes that allow for very high performance in the most demanding of applications. 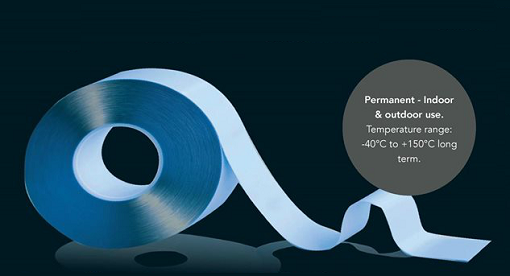 The tapes are quick clean and easy to use, and come in various thickness from 0.13mm to 2mm giving minimal wastage. Alternatively you can visit our website to find out more about all of our products by clicking clicking here.